President Trump on Wednesday blasted top intelligence leaders for being "wrong" about their new assessment on Iran's nuclear developments. "The Intelligence people seem to be extremely passive and naive when it comes to the dangers of Iran. They are wrong!" Trump tweeted Wednesday morning in a pair of tweets. The president, who claimed Iran has recently tested rockets, also mocked the intelligence leaders in his administration, suggesting they "should go back to school." 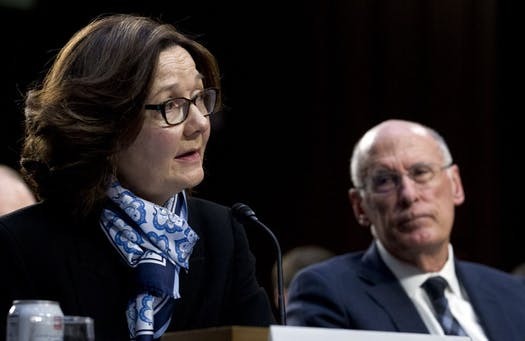 The officials also contradicted Trump on several other issues, testifying that ISIS remains a threat to the United States despite Trump's repeated comments that they have been defeated. And Coats said the intelligence community believes North Korea won't be willing to fully denuclearize because nuclear weapons are viewed as key to the state's survival — a statement that undermines Trump's previous claims that Pyongyang is "no longer a nuclear threat." Their testimony received heavy attention in the media for its contrast with Trump's comments.